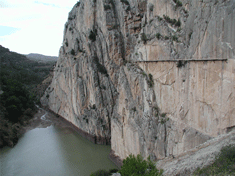 Casa Anna Apartment is located very close to one of the most famous rock climbing areas in Europe - El Chorro. With almost 700 bolted climbing routes in an area all accessible on foot, El Chorro is an El Dorado for climbers in southern Spain. The Andalucia climate makes rock climbing possible throughout the year even in during the Winter months when the sun is still warm. The beautiful landscape makes this area an idea location to test your climbing skills. 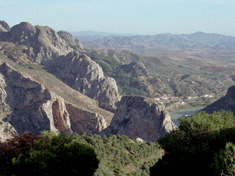 The El Chorro climbs attract rock climbers from the all over the world to the Andalucian area of southern Spain. Casa Anna Bed and Breakfast is an ideal base for your climbing holiday. Mick or Linda would be happy to help you arrange your climbing adventure.